In its 16th year of operation IkamvaYouth is proud to announce an 82% matric pass rate, with a 69.3% tertiary eligibility for its class of 2018. This is a great achievement compared to averages of the schools these learners attend, which sits at 76% matric pass rate with 58% learners eligible for tertiary. 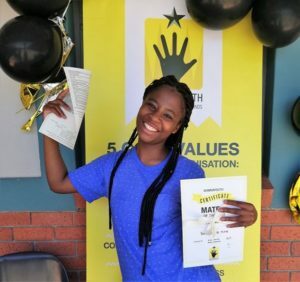 Close to 500 learners who were enrolled in the IkamvaYouth matric class of 2018, wrote their final examinations across five provinces in South Africa! 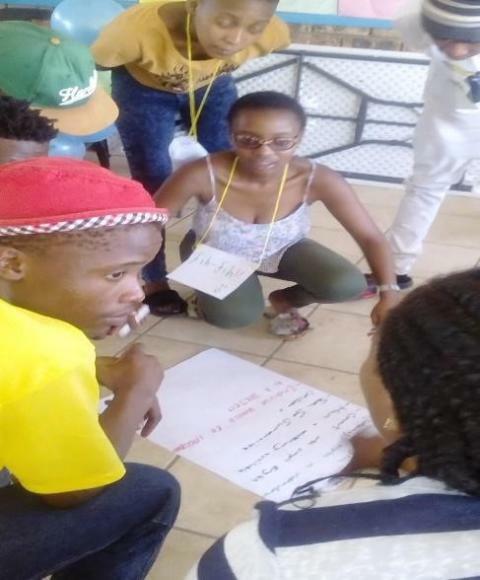 Every year, IkamvaYouth learners’ results far exceed those of their feeder schools and township averages, as the reality of the Basic Education system in South Africa remains that 50% of learners don’t make it to matric. The Gauteng region led this year’s pack of achievers with a combined 89% pass rate. 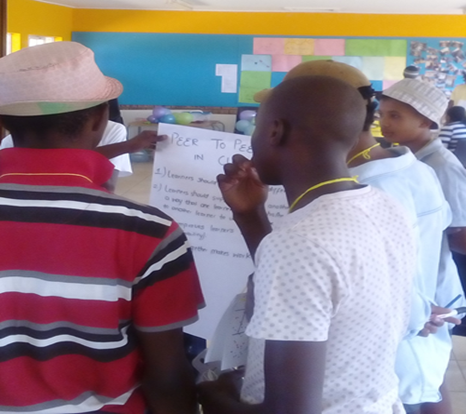 Established in 2017, our Diepsloot branch, hosted its inaugural matric cohort. The branch has achieved a stellar 100% pass rate with a whopping 94% tertiary eligibility (65% bachelor and 29% diploma passes)! This success comes despite the many challenges the Diepsloot community faces. 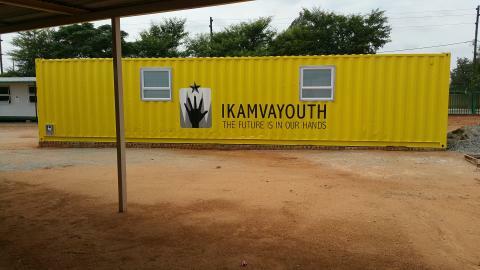 In Diepsloot (similar to many townships in the country) there is a clear need for the IkamvaYouth programme. Comparative studies reflect the disparity between education accessed by privileged white learners in suburbs and those in townships. There are great differences in performance and for most learners in the township, reaching matric is an accomplishment. 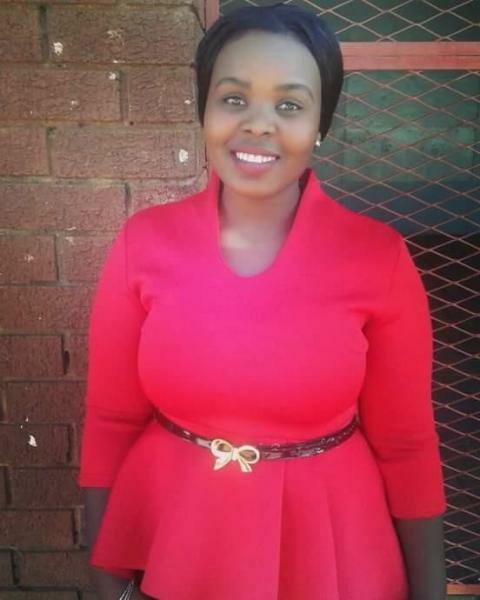 IkamvaYouth in Joza township, Makhanda in the Eastern Cape achieved a whopping 82% pass rate, far surpassing the provincial average of 71%. IkamvaYouth’s Western Cape region scored a 79% matric pass rate, with the Kuyasa branch boasting the highest number of distinction passes obtained – totalling 28! Our KZN and North West regions respectively achieved 79% and 77% pass rates. 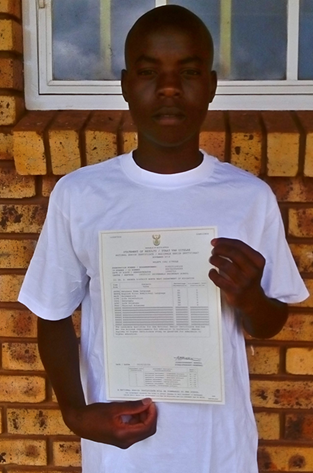 One of IkamvaYouth’s top achievers Lwando Melamane is from the Masiphumelele branch in the Western Cape. He achieved an aggregate of 82.3% with distinctions in Mathematics, IsiXhosa, Life Sciences, Physical Science, Life Orientation, Geography. We look forward to seeing many of these high achievers making a mark in the next chapter of their lives! There’s been solid improvement in the quality of passes, with the number of Bachelor passes increasing year on year for the past three years. 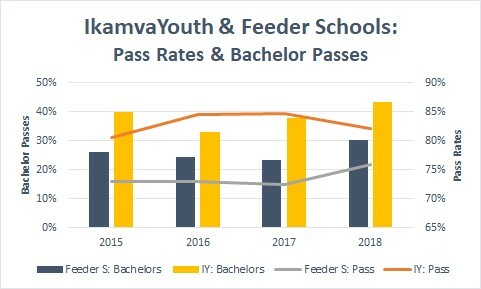 Even though the feeder schools have improved the number of bachelor passes, they’re still below the level we were achieving at in 2016. 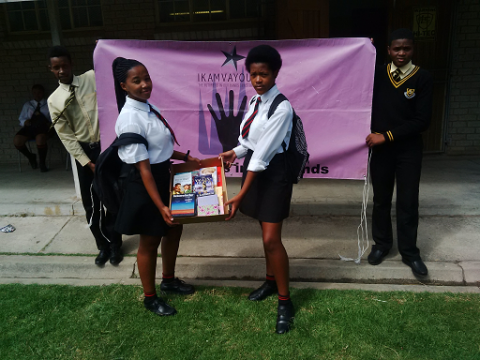 Twelve organisations, which were part of IkamvaYouth’s Community Collaboration programme, (IkamvaYouth’s social franchise which is aimed to create a sector of effective afterschool programmes, implementing the IkamvaYouth model) provided support to over 200 matrics in 2018 and have achieved an exceptional 91% matric pass rate, with 58% bachelor passes and 21% diploma passes. We are very pleased to share that three of these implementing partners; Bokomoso Education Trust, Mamelodi Initiative and Boys and Girls Club – Protea Glen have achieved a 100% matric pass rate! IkamvaYouth’s work would not be possible without the commitment of our tutors, funders and supporters! Thank you so much! We would also like to send a big shout out to our biggest donors for 2018: Coca Cola Beverages South Africa, Omidyar Network, Estee Lauder Charitable Foundation, The ELMA Foundation, Capitec Foundation, Cargill and many others. 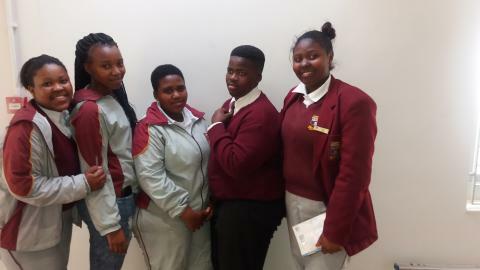 Five of the grade 11 learners from Kuyasa branch, Nandipha Mnani, Khanya Mabeke and Bongile Mfikili, represented Siphamandla Senior Secondary School to take part in the annual school mathematics challenge. This year, our learners got a chance to compete with a number of 65 schools from various areas in Western Cape, as well as compete under immense pressure. We are proud to announce that Ikamvanites secured the 6th place in the competition. We are ecstatic of their achievement. During the same day, two of our Ikamvanites, Ntomboxolo Kraqa and Vuyisanani Mkhize, were part of selected 25 top achieving learners. The selection was from 2 high schools in Khayelitsha recognizing the academic excellence of the learners. 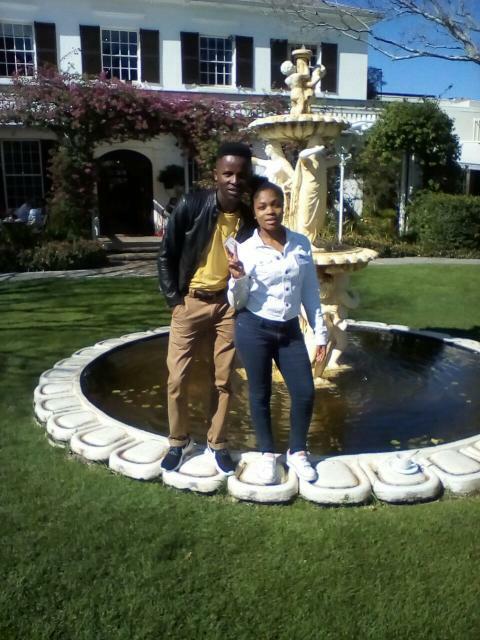 Their hard work was rewarded with a restful weekend getaway at a 5 star hotel in Newlands to celebrate their success. We would like to thank IkamvaYouth volunteers who spent time after school to help prepare these diverse learners to improve academic achievement across ability levels and content areas. We are very proud of the Ikamvanites as well as the rest of the selected learners. You have all done IkamvaYouth proud! One of their friends, Keitumetse Sebokanelo (Pictured on left) went to the Department of Water and sanitation offices in Mafikeng where she saw a poster about the competition. Keitumetse decided to tell her classmates, Mmabatho and Ontlametse about it. They entered their names for the competition and received a phone call from the department. They did not waste time when they were told to come and speak on the topic “ Underground water”. They did research on underground water and presented to the department while others did drama and acting around the topic. 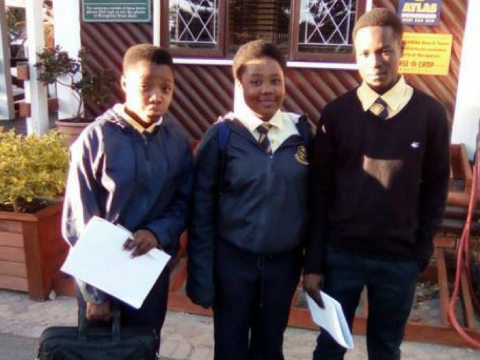 “I was scared and did not know what to expect,” said Ontlametse.They did very well as their speech was loved by the judge and took first position in the whole North West province. Last month (27-29 June 2016) they went to represent the North West province in at Port Elizabeth for the Finale. There were learners from schools all over South Africa representing their provinces and the competition got tough. Unfortunately for them, they got fifth position, however, they did not walk away empty handed. The department awarded them with full bursaries to study at any university in South Africa, towards qualifications in water science or other courses related to water sanitation. The Joza branch’s efforts to get Ikamvanites reading is off to a great start thanks to the generosity of the local Bargain Books store. The bookstore responded to our call for a donation of reading materials to use for our Saturday morning reading session and they donated a book hamper worth over R1500. The hamper includes a selection of novels, writing pads, diaries, K-53 learner’s book, journals, a DVD collection and an audio book. These will be shared at the reading sessions as well as given to the learners who show commitment to the programme. This will improve our reading programme as we didn’t have sufficient new reading material for the learners. Ikamvanites were excited to receive the books and look forward to winning of some of the goodies in the weekly English writing competition that we have initiated at the branch. 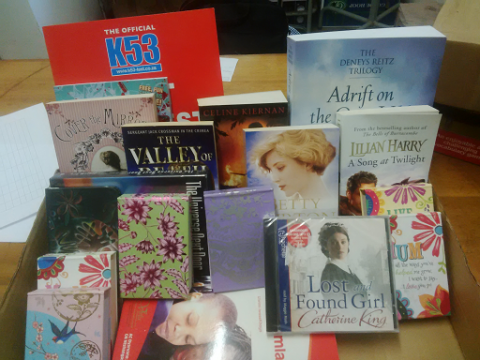 We would like to thank Ashia Nkontsa and Sharon Grant of Bargain Books Grahamstown for their generous contribution. Ikamva LiseZandleni Zethu- The Future is in our Hands. 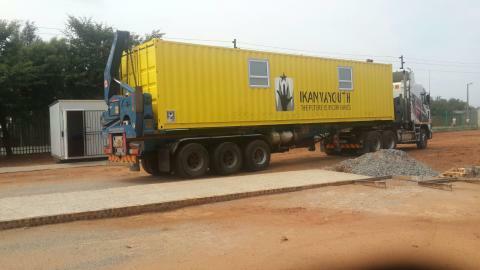 On the 17th of February 2016, a computer lab container arrived at the Ivory Park branch at Kaalfontein Secondary School. It will be great to see the sort of successes this achievement will allow us to bring about. It was early in the morning and Ditiro (the Gauteng District Coordinator) was there monitoring the delivery of the container, a resource that will contribute greatly to the success of the branch. 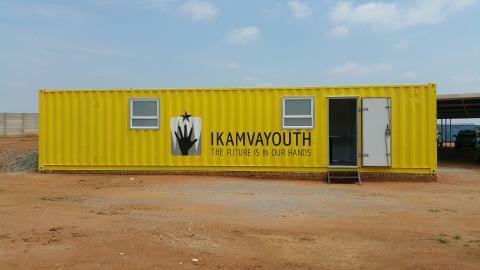 It has given us ,the staff, hope and we are eager to deliver one of IkamvaYouth’s key programmes – computer literacy. This will open up new learning experiences and opportunities for the learners and the branch staff. The principal of the school said, “It has now given me a place of hope when I see this new implementation”. We strongly believe we are on a path to meeting all our objectives and the teachers and other school staff have borne witness to that. We are even more dedicated to fulfilling our mission this year and wish all the IY staff and stakeholders a year of prosperity.